Ok so what is all the fuss about catnip buds? 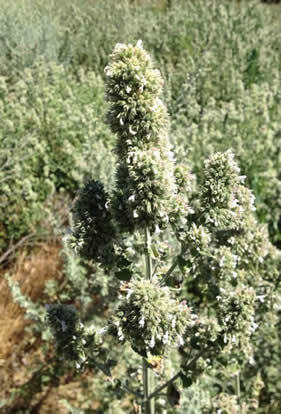 First, it is the most potent dried catnip product you will find. Why? Nepetalactone is the natural chemical in catnip that drive cats crazy and gives them those healthy ecstasy moments. The Nepetalactone is contained in the catnip plant essential oil. There is a higher concentration of essential oil in the flower tops and less in the leaves and stems. For example, to recognize a great catnip mulched leaf and flower cut, look for the tiny bell shaped pieces in there. They contain the most essential oil. They are pieces of the flower top. Then there are leaf and stem pieces in the mix. The more bells in the mix, the most potent the leaf and flower cut! Also look for a fresh looking, green mix! A Yellowish color indicates that the mix is either old or has been exposed to direct sunlight, which essential oil don't like! The milling process for leaf and flower mix destroys a percentage of the essential oil, no matter what. That is why the catnip buds, unaltered, contains the most. 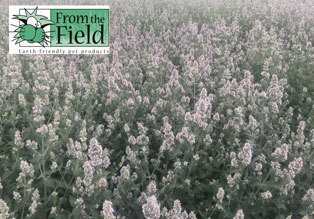 Our catnip buds are hand harvested in our Washington State catnip fields around the end of July each year, at maximum natural essential oil content. They are then carefully dried, and packaged. When giving catnip buds to your cat, we recommend crushing a flower piece between your fingers and giving it to your cat after removing the stems. Guess what? When you crush the buds, you release the essential oil trapped in those tiny bells, and your cat will hear bells once he gets a whiff! 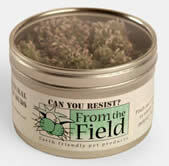 We sell our catnip buds to our pet stores until we run out (approximately November or December). Then on to the next spring planting, constantly expanding our fields as more demand from the market is created! The more cat parents try them, the more buds they want! We do our best to keep up with the demand. Which bring us to the next point: it is a hard and time consuming process to produce good catnip buds, and there are very few catnip producers who offer them in USA. That explains the rarity of the product, its seasonal nature, and its higher price point. And it is well worth it! 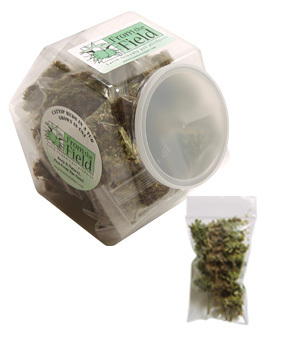 This wonderful container with a clear top contain 0.4 Oz of fresh and potent catnip Buds.Made and Grown in USA! Our Potent Catnip Buds in a 0.2 oz Mini-Max Bag. Try a small bag first, and your cat will ask for a larger size!